What are a few of the most Swedish things that you can think of? If you were to make a little list, I’m guessing it would mention lingonberries, maybe Swedish meatballs, and almost certainly Ikea? 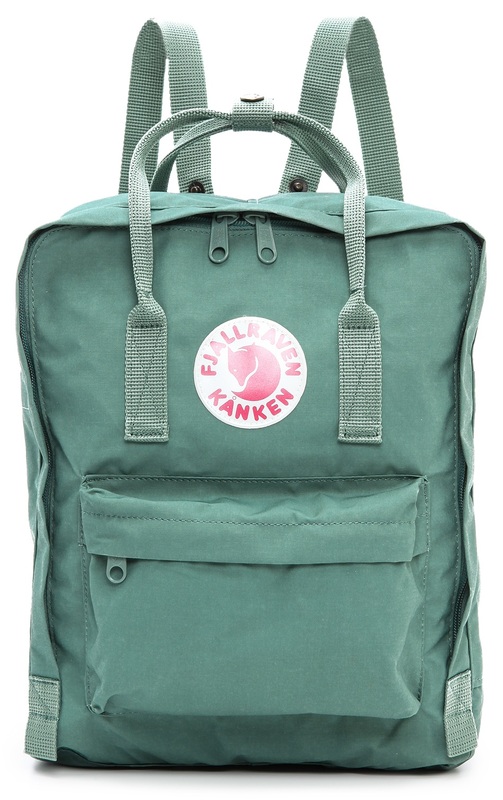 Your list may look a little bit different than mine would, but there is one thing that’s certain: if you didn’t include the Fjallraven Kanken, you’re skipping right over the most iconic Swedish backpack of all time. 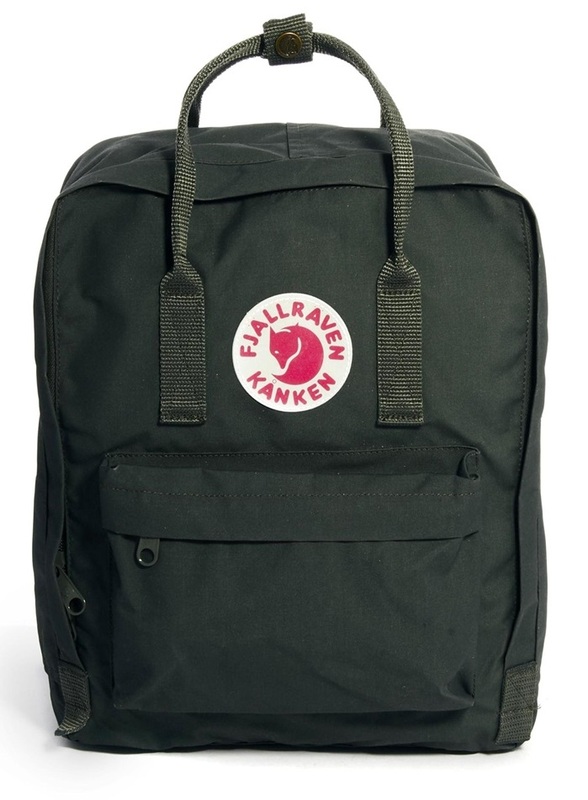 The Fjallraven Kanken has long been the most popular backpack in Sweden thanks to its unforgettable style and its long-lasting, quality construction. A favorite of both children and adults for nearly four decades, the Kanken has seen a huge surge in popularity throughout Europe and North America over the past few years – especially among style-conscious adults and trendy urban commuters. You would be hard-pressed to spend the day in a hip metro area like New York City or San Francisco and not spot someone wearing a Kanken at some point, whether in a restaurant, at the park, or on the subway car. 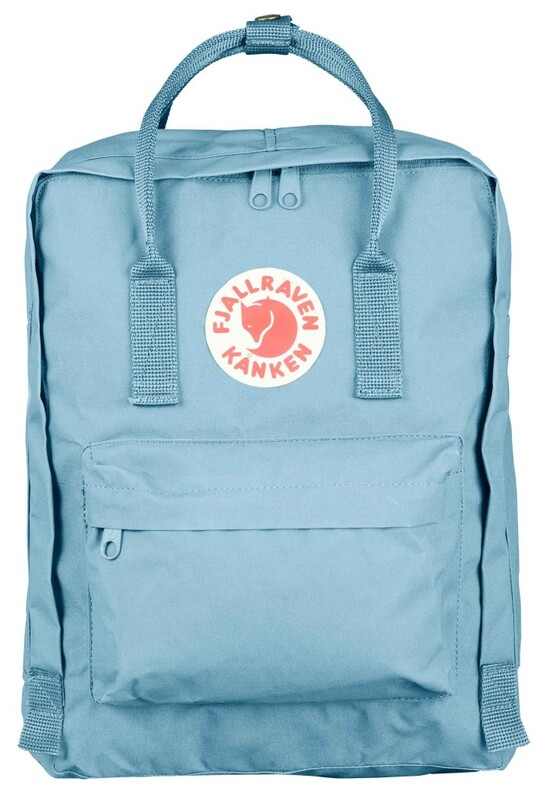 Originally designed to improve back health and posture among Swedish schoolchildren, the Fjallraven Kanken has become one of the most sought-after backpacks for everyone from college students to parents to professional photographers. There are nearly no limits to the number of uses for the Kanken, with many loyal Fjallraven owners using it as their number one go-to bag no matter what the role. The history of Fjallraven dates back to the early 1950’s when Åke Nordin, a young Swedish outdoorsman, grew frustrated with the poorly designed backpacks that were available for sale at the time. Committed to coming up with a solution, Nordin came up with his first backpack design – a large wooden-frame bag made out of cotton and leather straps. In 1960, the young Swedish entrepreneur registered Fjallraven at his family’s one-room home, with Åke operating his design room and workshop out of the cellar. Over the previous two decades, Nordin has grown Fjallraven to become one of Sweden’s most well-known bag and backpack companies. And in response to a growing public concern over a report that stated nearly 80% of Swedes suffer from back pain at some point during their lives, Fjallraven – in association with the Swedish Guide and Scout Association – designed the Kanken. The bag, which helped improve posture among both children and adults, redistributed weight better than existing bags, spreading across the full back rather than weighing down fully on the upper shoulders. Nearly 40 years later, the Fjallraven Kanken is not only one of the most popular bags in Sweden, but also one of the most sought after backpacks throughout both Europe and North America. Very little has changed with the Kanken since it was first introduced in 1978, and Fjallraven owners all over the world continue to swear by the iconic backpack’s classic functionality and timeless style. The Fjallraven Kanken is an iconic Swedish backpack designed to provide functional utility along with a trendy unique design that is both practical enough for daily use and stylish enough to draw envy and admiration. 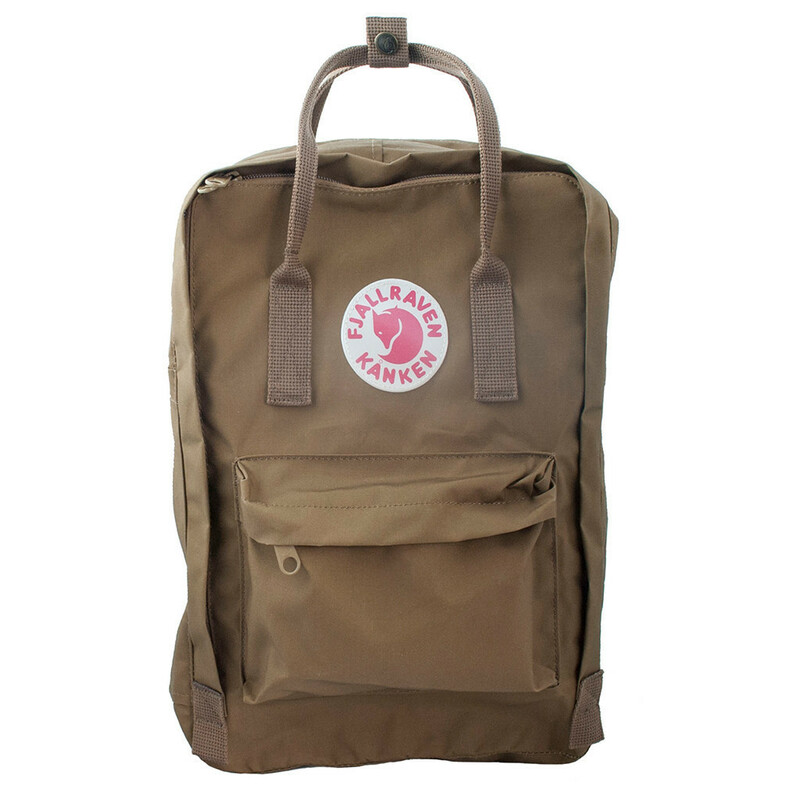 The Fjallraven Kanken backpack is ideal for students looking for a stylish-yet-functional bag that has the capacity to hold books, notepads, and small laptops while providing the signature quality and durability that the Fjallraven brand is known for. Unlike other bags which can fall apart after just a couple of semesters, each Kanken is designed with the utmost attention to craftsmanship to ensure that it lasts for many years to come. As offices everywhere shy away from suits and briefcases in favor of a more casual ambiance, an increasing number of professionals are turning to bags like the Fjallraven Kanken for their everyday business needs. 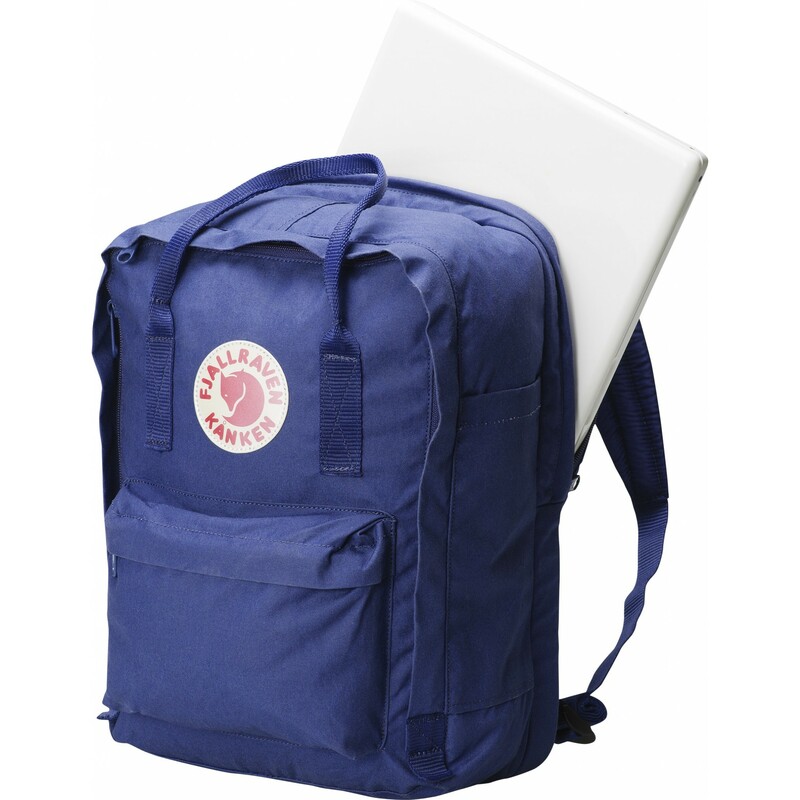 The Kanken is perfect for carrying your laptop, tablet, files, and other important business documents by providing the comfort and convenience of a backpack without sacrificing style or professional appearance. If you spend your days commuting in urban areas, you know exactly how annoying trying to drag around a large, over-sized bag can be. Not just frustrating for you, but also for everyone else around you on the crowded sidewalks or in the train car. Thankfully, the Fjallraven Kanken is a stylish, full-function bag that offers the space you need to carry your daily essentials in an easy-to-manage compact form. Tired of hauling around a huge, heavy diaper bag full of items that you can’t find when you need them or that you never actually seem to use? 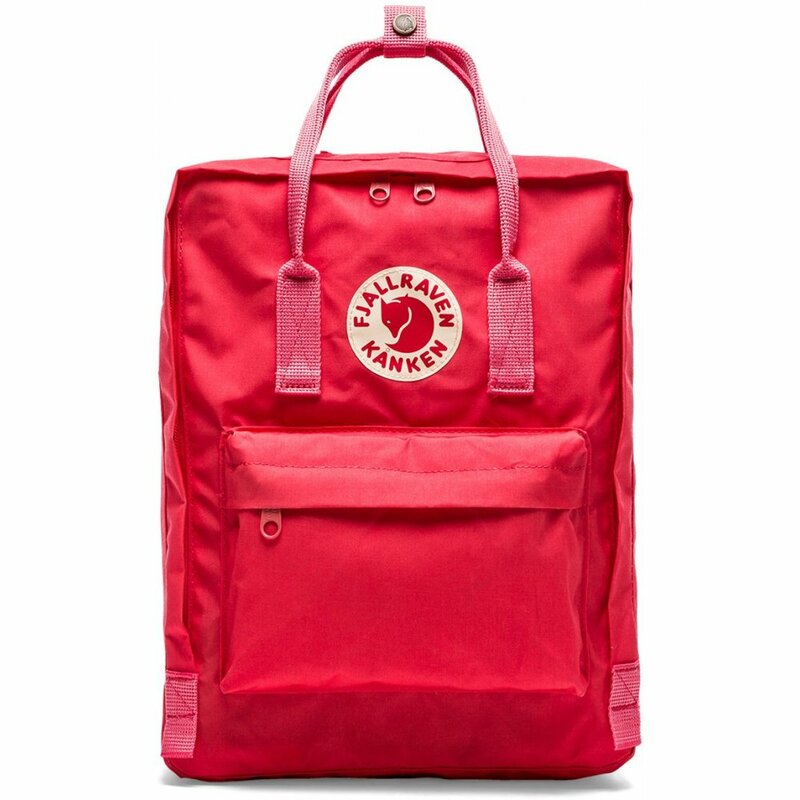 The Fjallraven Kanken provides an attractive diaper bag alternative for moms and dads who are desperate for a more practical answer. The Kanken’s spacious interior offers parents plenty of room for baby must-haves like diapers, wipes, tissues, extra clothes, and a changing pad and is easy to carry – even when you have your hands full. When picking out a camera bag, you need to be confident that the backpack you are choosing is reliable enough to protect thousands of dollars of very delicate equipment. 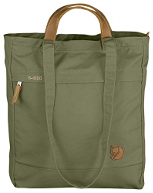 And while simple in design, this is where the Fjallraven Kanken really shines. Made out of durable Vinylon F, the Kanken is both extremely durable and highly waterproof – meaning that no matter what conditions you’re shooting in, you can have peace of mind in knowing that your cameras, lenses, flashes, and memory cards are safe and sound in the bag’s easy-to-access central compartment. Choosing the best hiking backpack involves carefully balancing functionality, durability, and overall weight. Luckily, the Fjallraven Kanken excels in all three categories. While not suited for long-distance thru-hiking, the Kanken offers day hikers the space to carry water, snacks, cameras, sweaters, and almost any other items needed to fully enjoy the great outdoors. Made to last for years, the Kanken is also well-suited for anything from the casual nature walk to the more strenuous mountain hike thanks to is ultra-lightweight build. Waterproof Design – Built out of highly-durable Vinylon F material, the Fjallraven Kanken is naturally waterproof and able to keep your belongings safe and dry in almost any environment – from the unexpected winter rain storm to the humid summer’s day on the trail. Spacious Storage Compartment – While other bags have multiple compartments that all wind up being too small to actually use, the Kanken’s spacious central compartment makes it easy to carry larger items like laptops and books. Huge Selection of Colors – Want a unique bag that perfectly matches your personality? The Fjallraven Kanken comes in dozens of different colors meaning that there’s a bag out there for just about everyone. Convenient Handles and Straps – One of the Kanken’s most convenient features is the ability to be carried in multiple different ways. From the weight-balancing back straps to the top strap meant for carrying the Kanken on your arm, you’ll never have to worry about struggling with an awkward or uncomfortable bag. Foam Back Pad – Fjallraven is dedicated to designing comfortable products, and that commitment is 100% evident in the Kanken’s form-fitting foam insert that runs along the back of the bag. Great for further spreading out the bags weight, the foam insert also protects your back from pointy book corners and other potentially painful objects. Small Side Compartments – If you’re planning to store large bottles of water in the Kanken’s side compartments, you may be disappointed. While ideal for smaller items like phones and umbrellas, the sides aren’t quite large enough to hold big bottled waters. Not Meant for Super-Heavy Items – The Fjallraven Kanken is a great day pack, but its frameless design and unpadded straps make it less than optimal for people carrying extremely heavy items with them. While there may not be a set limit, most people seem to recommend avoiding loading up the Kanken with more than 30 pounds at a time. Material Can Scuff – Although Vinylon F is waterproof and extremely durable, it is susceptible to scuffing through daily use. All Kankens can scuff, but it is often most noticeable on the lighter colors. For many Kanken owners, however, this worn-in look is actually a desirable trait. No Interior Pockets – If you’re looking for plenty of interior pockets for storing and separating small items, the Fjallraven Kanken will leave something to be desired. While the large central compartment is great for carrying computers, books, and even smaller bags and purses, its single-chamber design can make it hard to keep small item organized – although it also means never having to wonder which pocket you put something in! If you’re looking for a reliable backpack for everyday use, the Fjallraven Kanken is one of the best bags on the market. Kanken backpack owners report using their bags for carrying everything from schoolbooks to expensive electronics, in a number of different environments ranging from urban commutes to remote hikes and just about everything in-between. 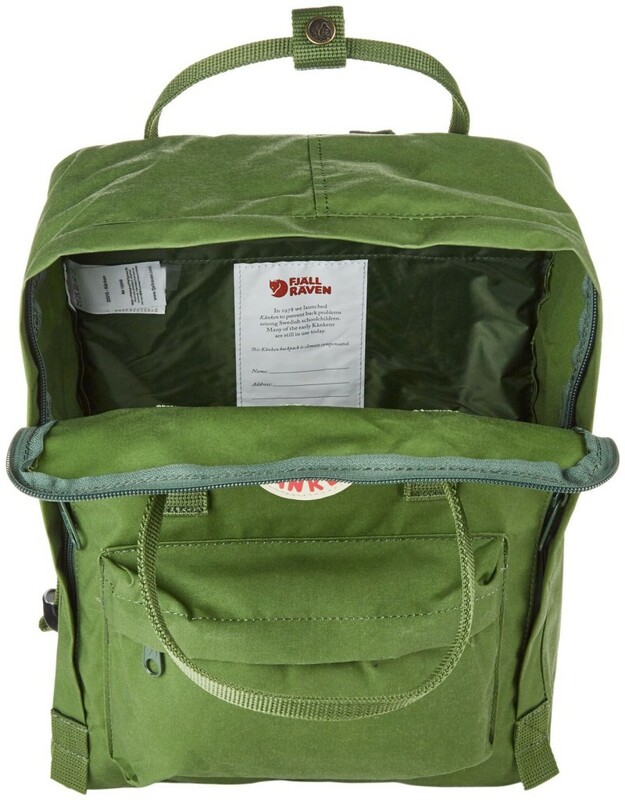 Although not well-suited for multi-day hiking or for carrying extreme weights (think 30 pounds and up), the Fjallraven Kanken should be at the top of the list of anyone searching for a bag that’s both practical and dependable while still maintaining the iconic style that has made the Kanken backpack a worldwide favorite for nearly forty years. 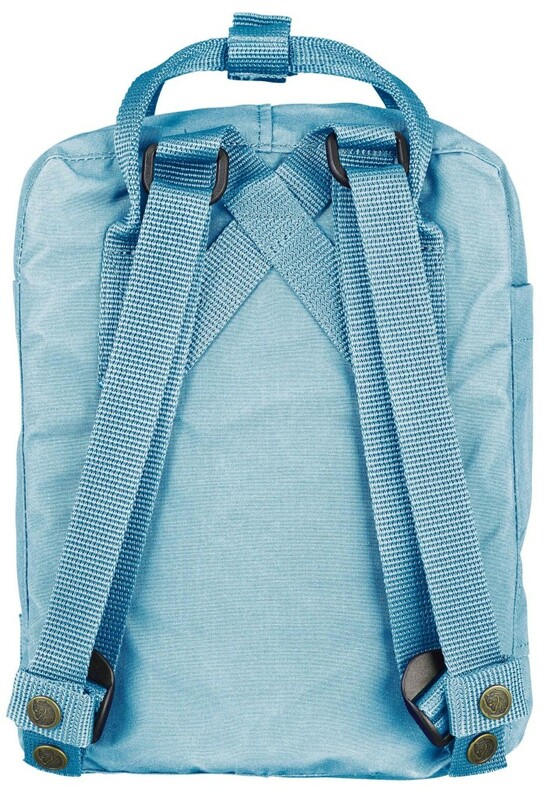 SwedishBackpack.com is a participant in the Amazon Services LLC Associates Program, an affiliate advertising program designed to provide a means for sites to earn advertising fees by advertising and linking to amazon.com. In addition to our affiliation with Amazon, SwedishBackpack.com may also earn commission for purchases made through some, but not all, of the other links on the site.